How far will I travel for a donut? Well, since I technically have driven all the way to Portland for Voodoo, I guess quite far. Not really sure what the fuss is all about with Voodoo anyways. Definitely a been there done that type of establishment. Novelty does have enormous power. So with the current rage of "gourmet" donuts in the city, I decided I needed to hit up a local favourite - in Deep Cove... Not as extreme as Portland, yet still not exactly close, I was on a mission to find out what the fuss was all about. Turns out there was quite a bit of fuss inside and outside. To keep it simple, I got one each of the Honey Donut and Chocolate Glazed. Okay. Let me get to the point. I wasn't sure whether I was eating honey or grease. At first, I was enjoying the warm sweet donut until around my 3rd bite. It just seemed very oily. Setting it down on the paper bag for a bit confirmed it was indeed grease. My initial enjoyment was quickly quashed by the heaviness and richness of the donut. It's not that I disliked it. It was just a bit too much for me to handle in one sitting (and that was from one donut). In some sense, it makes Cartems seem light. 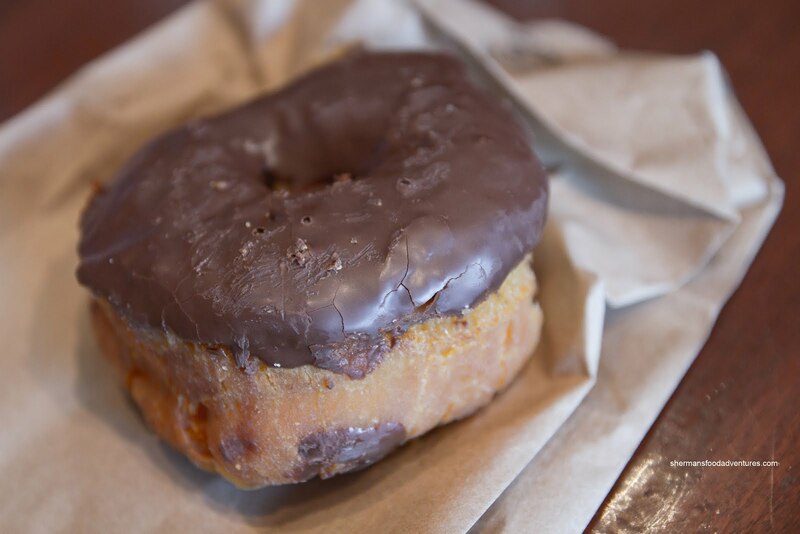 As for the Chocolate Glazed, it was better as it wasn't soaked in anything. It was still heavy though and was quite sweet due to the glaze. My kids seemed to like it though. For Viv and I, we were not really sure if we'd drive out again for these donuts. They were fine for what they were albeit greasy. I guess it comes down to personal taste. Honey is a swell place, there's not a donut there I won't eat, albeit they are total fat & sugar bombs. And yes, the space & ambiance isn't terribly "inviting" in terms of comfort and ambient noise level. 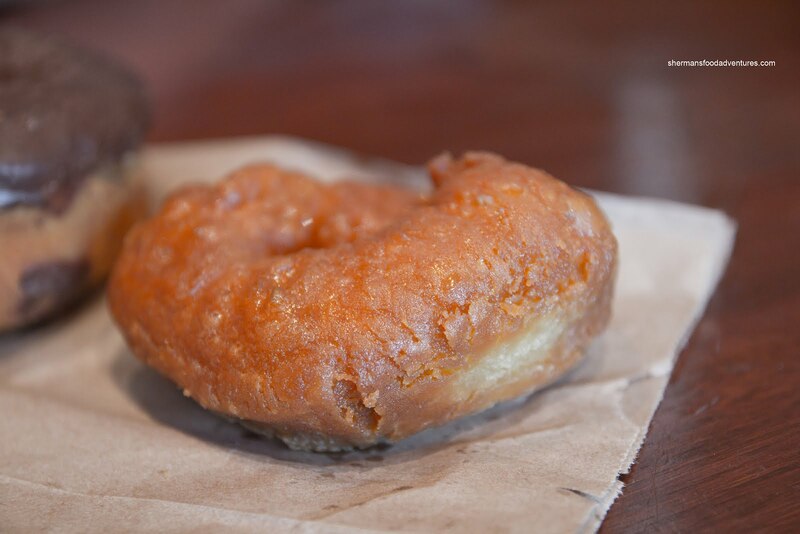 As far as gourmet donuts go, I would not put those from Honey in this category. It's more of a local dive which happened to get some buzz before the gourmet craze hit town and there was limited choice. 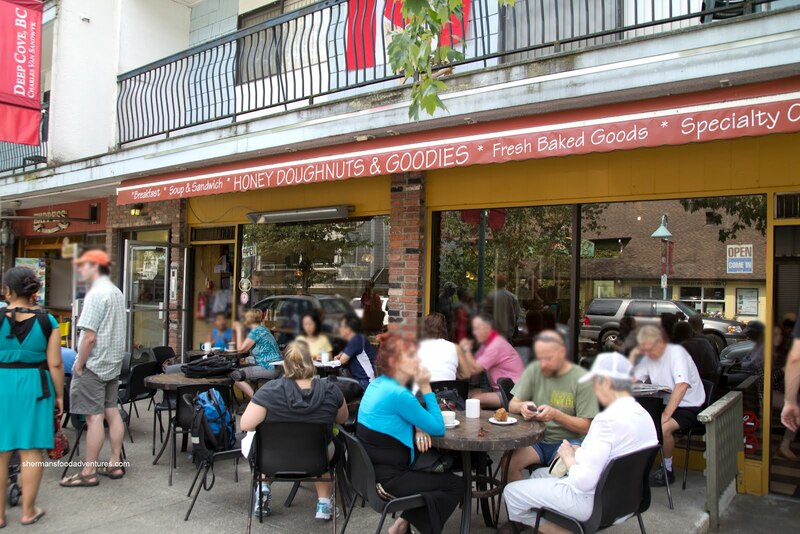 I would frequent the donut place on upper Lonsdale before I ever return to this place again. They're not tourist friendly and overrated in my books.